The largest collection of Cocoanut Grove photos is on the hollywoodphotographs.com website. All the photos are available for purchase. 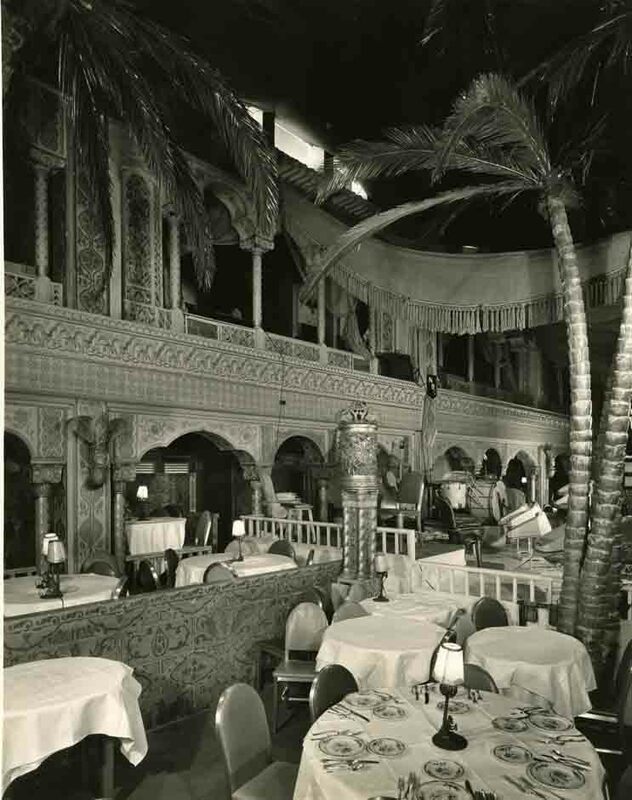 The Cocoanut Grove epitomize the symbolic relationship restaurants enjoyed with the picture colony, each enhanced the others reputation and Basked in the others glow. Cocoanut Grove Photos on hollywoodphotographs.com website. The Cocoanut Grove was located in the Ambassador Hotel on Wilshire Blvd. Opened in 1921, the hotel was one of the most impressive buildings in Los Angeles. The Cocoanut Grove was, without question, the most elegant, beautiful and popular nightclubs in Los Angeles, during the 1920s and 1930s. Celebrities from all facets of the entertainment world went to the Cocoanut Grove to dance and dine. Also, many from Hollywood’s high society were also guest of the popular nightclub.